[ Qoreader Blog ]: [Thought] Why We Should Buy and Have Wrist Watch. 1. it’s attached on your wrist. This statement seems too cliché but I have a good reason to explain it. Wrist watch as a timepiece in which many people consider the time is something worthy; they appreciate it by placing it in their bodies. Wrist watch is the embodiment of the people who appreciate their personal time to put it near their hands. 2 . Put attention with your time. Time is money, and for many people money is something that should not be wasted. Wrist watch helps us to keep an eye on our money all the time, just like a wallet where how much more money left. In addition, in some situations such as your phone runs out of battery or you’re on the way driving, we can keep an eye on the time by one glance. 3 More than jewelry and accessories. Although at this time having a wrist watch is considered only to show off. It have more functionality more than accessories. When we use the wrist watch, we put the tool that helps to set our own time and other people. For example, when someone asks us the current time, wrist watch is one of the reason why you suddenly asked by people who see you have this thing. I just bought a new wrist watch, it since ten years I do not have a wrist watch, the reason why I bought one when I was in my friend reunion and I saw them having wrist watch. 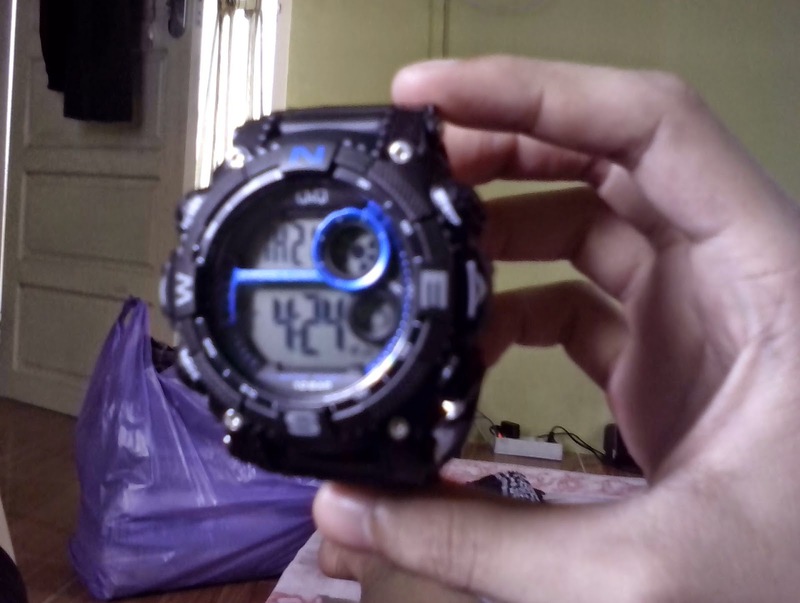 It’s 25$ worth wrist watch that I’ve paid by using my earning from online business.